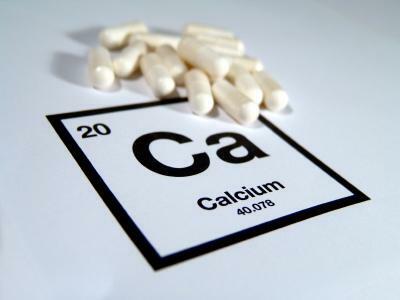 Are Chocolate Calcium Supplements Right for You? How Much Zinc Will Potentially Cure Angina? What Are Liquid Colloidal Minerals? Minerals are elements that come from the soils in which foods are grown, and they contribute to many aspects of health, including building strong bones and other support structures. They also assit in red blood cell formation, controlling nerve impulses, manufacturing hormones, and controlling muscle functions such as heart beat and muscular contraction. Mineral supplements provide an alternative to dietary mineral intake when the foods you eat do not contain adequate amounts of minerals to sustain health. The body needs minerals in different amounts. It requires trace amounts of some minerals, such as zinc, copper, manganese, and selenium. These are called micro minerals. On the other hand, you need larger amounts of other minerals (macro minerals) like calcium, magnesium, phosphorus, potassium, iron and sodium. In general, you require fewer than 100 mg per day for micro minerals, and more than this amount for macro minerals. As soil depletion grows from over planting and harvesting, mineral deficiencies are becoming more prevalent. Poorly managed planting cycles strip the minerals from soil, leaving the crops it yields low or completely lacking in minerals. Because of this, more people are turning to mineral supplements to cover deficiencies. Conditions such as anemia and osteoporosis may arise as a result of lack of sufficient dietary intake of minerals. When supplementing minerals, it is important to realize your body stores minerals. If you take large amounts of minerals over a sustained period of time, it is possible to build up toxicity. Because of this, it is important to stick to recommended guidelines for mineral intake, especially with minerals such as iron and selenium. Avoid taking mineral supplements that contain greater than the recommended daily allowance for minerals unless directed to do so by a physician. If you suspect mineral deficiency, talk to your doctor about what to do. Mineral supplements may just be the answer to improved health.